Bovada is a newly formed brand in the sports betting industry found in 2011. However, it’s parent company Bodog has more than 20 years of experience in the entertainment and gambling niches. The original sports betting platform of Bovada was actually on the bodog.com domain, and it was exclusively designed by the owner Calvin Ayre and his team. Today the online bookmaker is operated by the Morris Mohawk Gaming Group, and it’s serving US clients. The popularity of the brand is quite extended in other countries, such as Canada, Dominican Republic and Costa Rica. Bovada is licensed and regulated by Kahnawake Gaming Commission. Even after the big change and the rebranding, this online bookmaker still uses the Bodog’s platform, which can be found at Bovada.lv web address. Many people are suspicious of the strange domain extension, but, in fact, there is nothing wrong in it. Usually, such extensions are given to websites related with Latvia. However, some folks speculate that it stands for Las Vegas, which I hardly doubt. Nevertheless, the platform is an interesting one with many great offers and markets. Only time will tell if it will gain popularity or crumble with other new names in the industry. The transformation of this online bookmaker had only positive effects on the offered markets. There are quite a lot of sports provided by Bovada. Online betting players can choose between football, American football, athletics, baseball, boxing, cricket, cycling, motor racing, darts, Gaelic sports, golf, ice hockey, martial arts, rugby, snooker, basketball, soccer, tennis, horse racing and winter sports. Apart of sports, every customer can also take its time on the other markets with betting options, such as celebrities, politics and entertainment. 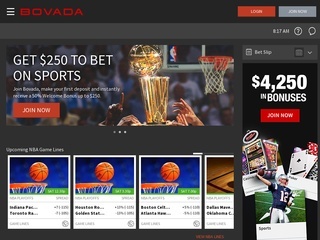 Bovada has casino and poker platforms up and running for any client who wants to take a rest from sports betting and spend some time on other games. Their online services are extremely well-designed with a huge focus on the user experience. There is also an online casino with tons of interesting games. Black Jack, Video Poker, Roulette, Slots and Specialty games. All the games and markets offered by Bovada are accessible via their mobile application. The mobile version is called Bovada Mobile simply, and it’s not considered one of the popular choices for gamblers. However, the online bookie allows the player to wager in real time, but live streaming is not part of the services. This traditional online bookmaker offers relatively good odds compared to most American online betting companies. They are formatted by the UK, EU and US standards. There is, of course, a minimum betting amount set to $1. A maximum value is set for American football only, where the clients can wager up to $1000. Bovada also has a limit on winnings, which currently apply to every wager and it’s set to $100 000. Football betting is enhanced with various betting choices for the fans. They include the standard 1X2, correct score, half/full time, even/odd goals, double chance, most scoring half, winning margin, both teams to score and 3-way handicap. The multiple bet options are also presented for those, who find the thrill in complicated strategies with a great return. The opportunities are as follows Double, Treble and Trixie as a standard combination, and the most complicated ones are Patent, Yankee, Lucky15 and Heinz. The SSL encryption provided by this famous US online bookmaker is handled by GlobalSign certificate, which ensures a reliable protection of all the data, which passes through Bovada’s servers. The platform of this bookies is quite dependable because Bodog is surely famous with well build web application and a high level of security. When it comes to customer care, Bovada supports live chatting and email ticketing systems. They also have a toll-free number available for US citizen. It’s natural that all the communication is handled in English. The customer support service is highly trained and prepared to answer any question regarding any issue. The staff is polite and friendly, which is helpful to relieve the stress. 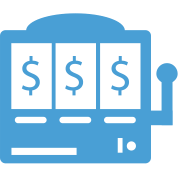 We should mention that deposits and withdrawal are both made in USD, which is the only currency supported by the online bookmaker. The transaction history is always accessible from Bovada’s website for review. In general, the company has an extremely poor support for payment options, which is shameful for a brand with such popularity. Clients can make deposits right after the registration process. They have to click on “Make a Deposit” button from their profiles panel page and choose the desired method. There is also a Deposit Assistance Team assigned to handle problems with the process of money transfers. Bovada offers an amazing Welcoming Bonus for every new player, who registers on the website. The promotion offers up to $250 or 50% of the deposit (for example, the maximum bonus can be achieved on deposit of 500$). There is no promo code, minimum odds or required. The only rule is a rollover of 5 times for sports. Also Bovada offers tempting $500 Poker Welcome Bonus, based on your deposits and your poker points eventually and the magnificent $3000 Casino Welcome Bonus (with 25x rollover requirement). 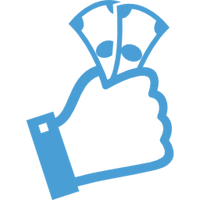 Referral bonus is available for every gaming platform in Bovada. 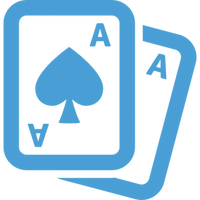 The poker rooms also have many other promotions, such as weekly freerolls, “Bad Beat” and “Royal Flush” bonuses. Casino players can enjoy “Casino Benefits”, “Blackjack Weekends” and “Table Mania Tuesdays”.